Artificial Intelligence AI Chatbot, helps to serve your customers by providing quality & effective service to them. Chatbots helps your sales team to perform better and it automates the sales and as a result, it will boost your online sales and revenue. Businesses can serve a large number of customers at the same time with the help of Chatbots. Enterprise Chatbots are capable of carrying out a range of activities, such as gathering data, resolving customer queries, building rapport with customers, etc. through conversations and matching the brand voice. Besides, when it comes to driving sales, they also prove to perform as a prudential addition to your sales force. They perfectly understand every detail of all your products and services and are very much able to clearly explain it to your prospects through a natural engagement. Hence, they can educate the leads and recommend the right products for them, making them a sensitive member of your sales team. Let’s see how smart sales bot carries out this important duty. Efforts of your sales team can get heavy-footed when they have a massive list of prospects to work on. In such scenarios, you can put forward a set of pre-defined qualifier questions with chatbots for the prospects to answer. This way, the chatbots lighten their burden by generating a list of quality leads that are more likely to convert. We know that chatbots are good at nurturing the prospects at the top of the funnel. Below are some points on how bots improve leads. Develop your chatbot keeping in mind your targeted audience and define your sales funnel. Suppose your targeted audiences are the people looking for properties then Chatbots can be programmed to ask questions related to location, price range and the amenities customers prefer. This way Chatbot can collect necessary data about the customer which save lots of time of customer and agent. Based on data, real estate Chatbot continuously searches and delivers property information to the customers. Bots already know which audience to target, so you never have to crawl to get new listings out of the right people. Besides, they can also qualify the prospects, based on demographics, interests and other factors. Subsequently, they tag the chats of the promising leads with the sales department. This enables you to spend more time to engage with only the favorable leads. Thus, chatbots help to pull out more efficiency from your sales team. Sales teams are prominently operated by humans. They don’t work beyond business hours, they take day offs and can even need a ramp-up time after a busy day. On the other hand, you can’t deduce when a prospective customer would make it to your lead management setup. They might change their mind when you have them wait until you get back. Chatbots form an always-on lead engagement framework, working 24/7 throughout the year. Therefore, you can be sure of engaging with the leads at any given moment. Chatbots constantly respond to the customers 24/7 and this will improve customer experience. 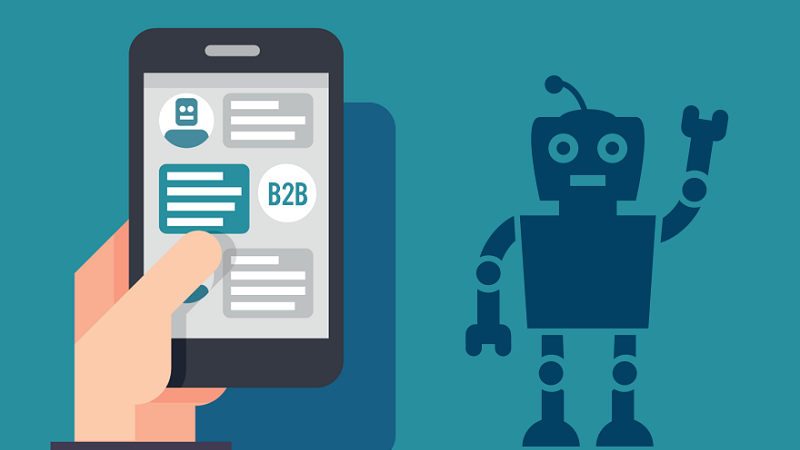 Chatbots are less prone to error, so this will improve efficiency & productivity of business operations and even provide better interactions with users. Your sales personnel need an extensive knowledge of your receptive markets and individual customer insights to perform well. But a comprehensive market research and analyzing customer perspectives are invariably time-consuming and expensive. Countering this issue, chatbots plunge into action, simplifying things for your sales team. Every chat log fetches valuable data about customers’ interests, the questions they have, their pain points, etc. When all these data are available at your sales team’s disposal - they can have a clear view of a lead’s desires and problems, helping them to establish convincing efforts. Thus, the data accessibility chatbots offer seamlessly assists your sales force to close more sales. Personalization is one of the most influential factors, as far as marketing and sales are concerned. Pushing personalized contents assures higher chances for conversion. However, it’s a daunting task that 60% of marketers still struggle to establish. With competent bots like acquire, you can achieve customization according to the type of industry, function or even location. For instance, if you’re into insurance, you can personalize the operations of the AI bots to locate a branch, checking claim status or policy status, etc. Correspondingly, you can imply legible customization according to individual preferences or segments. Therefore, equipped with a higher level of personalization, you are very much susceptible to persuade prospects to buy more effectively. Your sales endeavors greatly rely on utilizing the CRM data. It’s the place where all the prospects’ interactions are recorded and used when your team is attempting to accomplish a sale. Making the coordination cohesive and flexible enlarges the possibilities for the success of their efforts. On that note, integrating AI-enabled chatbots to your existing sales system is greatly helpful. When the chat logs are stored in the CRM, any of your salespeople can pull out pertinent data and previous interactions instantly. Moreover, it also offers a one-stop solution for the members of your sales team, for their entire quest. Hence, adopting chatbots’ propel smarter CRM interactions will strengthen your sales team. Alert your team to update CRM records after an action is taken. Therefore, sales bot decisively helps your support team, with a conclusive follow-up support. Cart abandonment is one significant predicament which a sales team strives hard to get through. There are varied factors serving as a reason for abandoning the shopping cart. Providing instant answers to the commonly raised questions. Re-engaging customers by sending out reminders. Inquiring from customers if there’s an issue with an unfinished order, and providing a solution. Primarily, people add products to the cart and turn away, being hesitant to buy or due to purchase related fears. In such cases, chatbots can push out convincing product info or even a special deal on the product through messages - to alleviate these hesitations. Moreover, they can also suggest alternative payment options if a cart is found to be abandoned due to payment failures. This way, chatbots boost sales by cutting down the number of cart abandonment. Chatbots play an important role in your sales teams. There is a misconception that the advent of AI and chatbots will occupy the space of humans in the sales process. It’s clear with the aforementioned factors that Chatbots are here to assist not to replace sales team. With the use of Chatbots, productivity will increase and ultimately you will get more customers. The sales team will get time to focus on tasks which are more important.